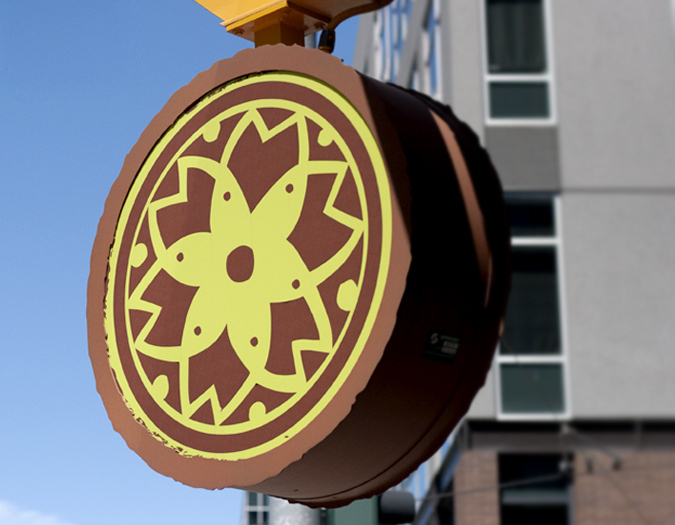 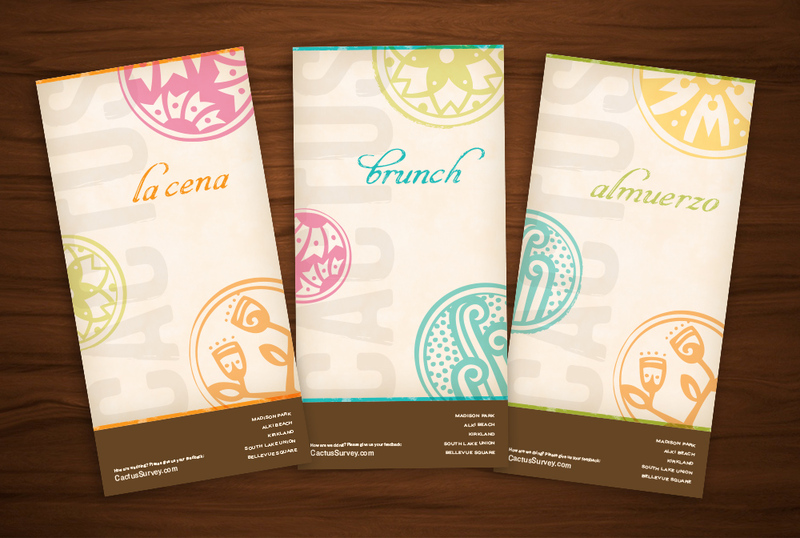 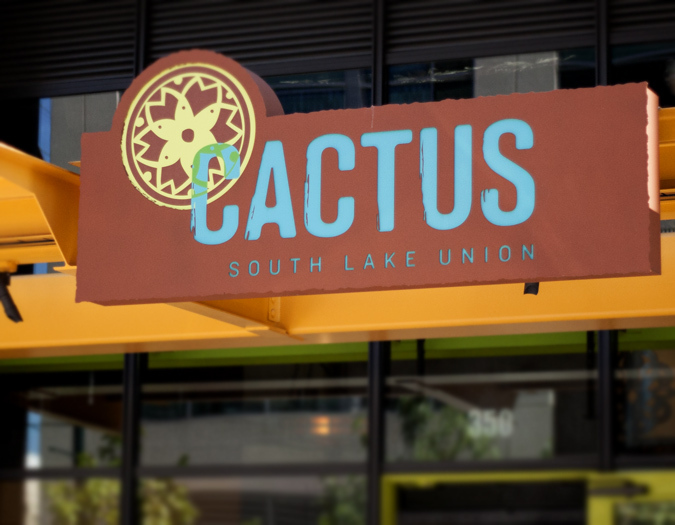 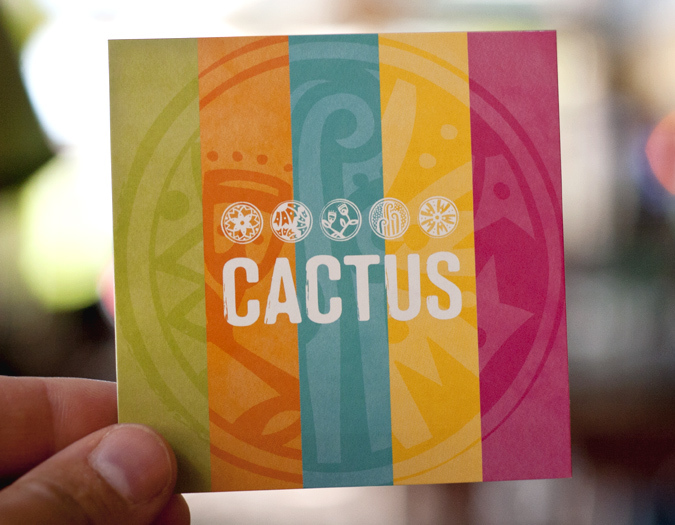 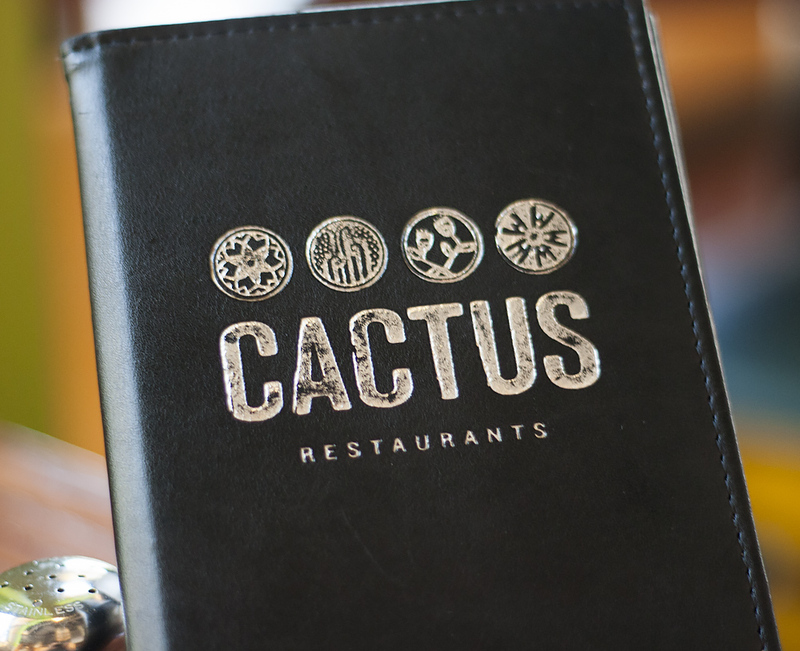 Bright and fun new brand collateral to reflect the new logo for Cactus Restaurants. 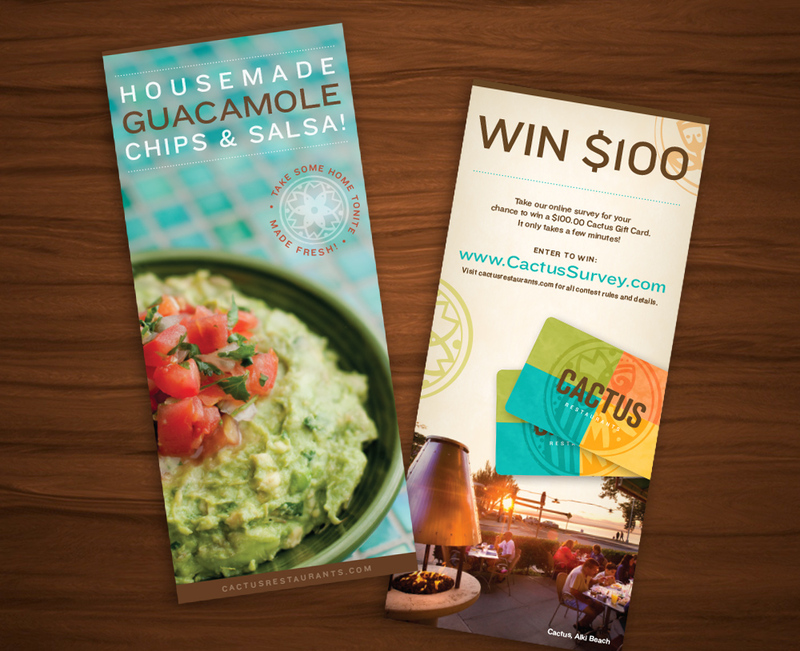 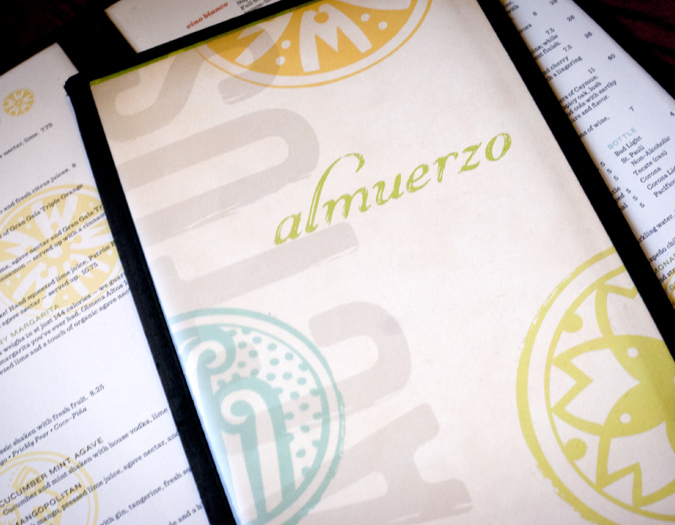 New collateral included a little of everything, including menus, business cards, flyers, gift certificates and more. 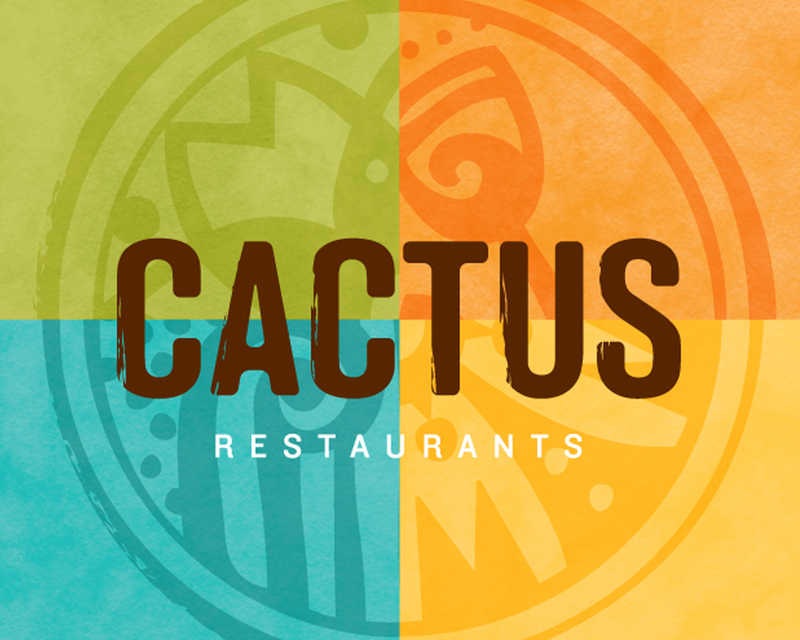 Local Seattle area restaurant Cactus needed to update their look to better reflect the festive tone of their restaurants, which are full of creative and unique Southwest recipes and decor. 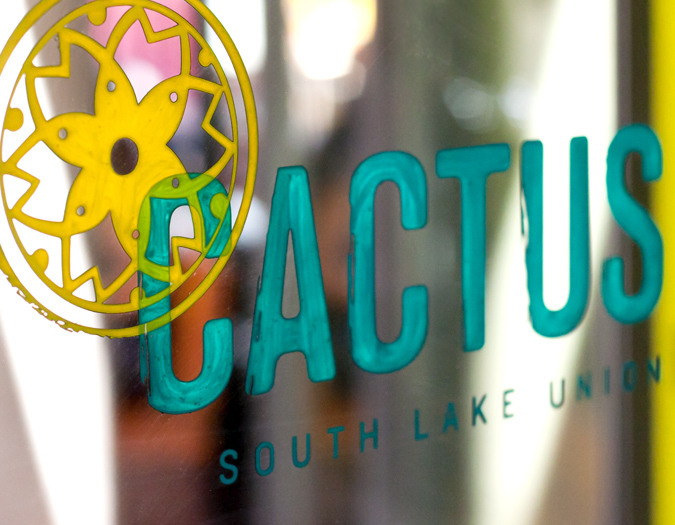 This mark was created, in collaboration with LookatLao Studios, as something that could be as versatile as they are with a unique logo mark for each of their locations. 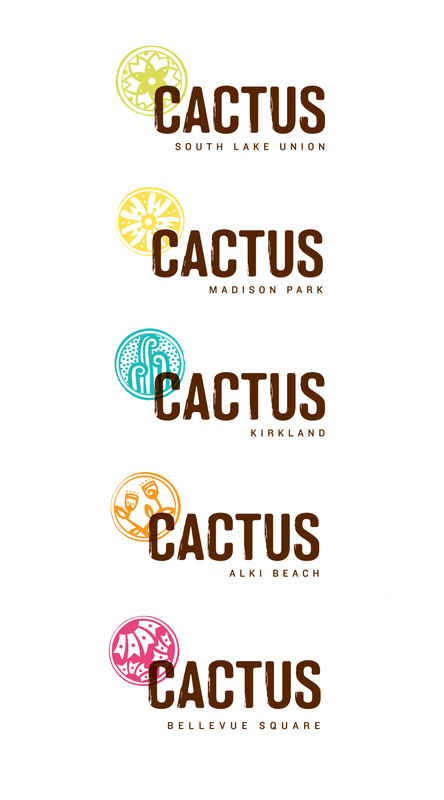 Inspired by the Mimbres culture and art, these logos take an abstract look at cacti, capturing cactus flowers, aerial views, and unique types of cacti from around the Southwest.